Geronimo is affiliated with St. George's School in Newport, Rhode Island. During the school year, trainees are students from St. George's; in the summer months Geronimo sails three voyages along the east coast of the U.S., with trainees ranging from high school age on up to adult. 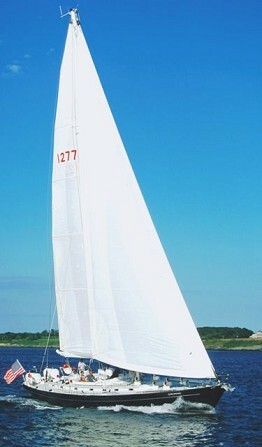 She is Coast Guard certified as a Sailing School Vessel, and her trainees serve as crew. On all of Geronimo's trips, the focus is on teaching marine science, sailing and navigation skills. Affiliation with several major marine science research organizations create valuable and real opportunities to be involved in marine research. 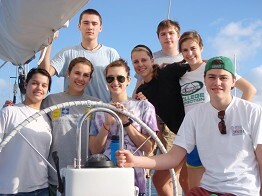 Students are fully engaged in a unique experiential program on board a 70' ocean going vessel. Students stand watch, navigate, perform sail maneuvers, steer, cook and clean, progressively taking on more responsibility over the course of their voyage. While on board, the participants work with an experienced team of professional sailors and teachers exploring the waters between the Canadian Maritime provinces and New England. They learn self-reliance, teamwork, self-confidence and leadership in an ocean-voyaging setting that demands responsibility.